We've had a few questions in our ISOGG Facebook group about a new GPS Origins test so I thought I'd take a look at it. I'm not aware of anyone who has tested with the company and received results. At present the test is only available in the US and Canada during the initial launch period but there are plans to make it available in other countries in 2017. You can either order a new test from scratch for an introductory price of US $149 or you can transfer your raw data from AncestryDNA, Family Tree DNA or 23andMe to order a GPS Origins report for $59. The transfer is not currently active and is advertised as "coming soon". The GPS Origins™ (Geographic Population Structure) ancestry test uses the latest genetic research and a new ancestral tracking technique to pinpoint much more precisely where your DNA was formed. The GPS Origins™ test indicates the town or village where groups of your ancestors from different cultures met - building a rich picture of the migration journeys that formed your deep genealogical heritage. The GPS Origins™ test then traces the migration route of your DNA back to where it originated from and dated the age of your DNA signature. It does that for both your maternal and paternal lineages indicating where your DNA began. Your results are detailed in a report that reveals your ancestral origins. Your personalized report identifies your top three Ancestral Origins (the Gene Pools or ancestral communities that contributed significant portions of your genetic makeup) and shows the percentages of DNA you inherited from each. The report is much more detailed than an estimate of ‘ethnicity’. The GPS Origins™ test is a revolutionary ancestry test that enables you to trace where your DNA was formed over 1,000 years ago, along with its migration routes, down to the nearest village or town. Current ancestry DNA tests locate where your DNA formed within countries or continents. Typically you find that some of your ancestries come from Western Europe, Africa or South Asia, and given broad estimates of your ethnicity. These tests generally cannot identify your origins to particular countries or locations. It would be very exciting to have a DNA test which could provide this level of accuracy but unfortunately the reality is probably not going to live up to the hype. The GPS Origins test appears to be an updated version of a test originally offered by a company called Prosapia Genetics. The Prosapia test was based on algorithms described in a paper by Elhaik et al Geographic population structure analysis of worldwide human populations infers their biogeographical origins (Nature Communications, 2014). 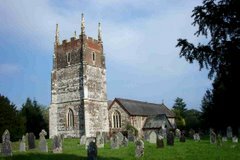 Customers were given a co-ordinate indicating their supposed place of origin 1000 years ago. There were a lot of complaints from customers, many of whom discovered that they had an aquatic origin in the middle of an ocean or river! See my blog post Driving in the wrong direction with a dodgy DNA satnav. Although the Prosapia Genetics website is still live there has not been any activity on their Facebook page or Twitter account for a long time, and it is not clear if the test is still on sale. The new GPS Origins test has been developed by Dr Eran Elhaik, the lead author of the 2014 Nature Communications paper, and is using the same algorithms. The company claim in their FAQs that "The accuracy of GPS was demonstrated by identifying the DNA signature of ancient Ashkenazic Jews and their formation approximately 1500-2000 years ago." They are referring to a recent study by Das et al in Genome Biology and Evolution on Localizing Ashkenazic Jews to primeval villages in the ancient Iranian lands of Ashkenaz. Eran Elhaik was one of the co-authors of this paper. Both of these papers are highlighted on the GPS Origins website in a section on Research behind the GPS Origins™ test. Unfortunately the company has failed to mention that the Das et al paper has been heavily criticised and that the original research on which the GPS test is based has been called into question. See the paper by Flegontov et al in Genome Biology and Evolution (2016) on the Pitfalls of the geographic population structure (GPS) approach applied to human genetic history: a case study of Ashkenazi Jews. In a recent interdisciplinary study, Das and co-authors have attempted to trace the homeland of Ashkenazi Jews and of their historical language, Yiddish (Das et al. 2016. Localizing Ashkenazic Jews to Primeval Villages in the Ancient Iranian Lands of Ashkenaz. Genome Biology and Evolution). Das and co-authors applied the geographic population structure (GPS) method to autosomal genotyping data and inferred geographic coordinates of populations supposedly ancestral to Ashkenazi Jews, placing them in Eastern Turkey. They argued that this unexpected genetic result goes against the widely accepted notion of Ashkenazi origin in the Levant, and speculated that Yiddish was originally a Slavic language strongly influenced by Iranian and Turkic languages, and later remodeled completely under Germanic influence. In our view, there are major conceptual problems with both the genetic and linguistic parts of the work. We argue that GPS is a provenancing tool suited to inferring the geographic region where a modern and recently unadmixed genome is most likely to arise, but is hardly suitable for admixed populations and for tracing ancestry up to 1000 years before present, as its authors have previously claimed. Moreover, all methods of historical linguistics concur that Yiddish is a Germanic language, with no reliable evidence for Slavic, Iranian, or Turkic substrata. The typology of Yiddish and the name Ashkenaz cannot serve as arguments to support the theory put forward by Das et al. (2016). (Localizing Ashkenazic Jews to primeval villages in the ancient Iranian lands of Ashkenaz. Genome Biol Evol. 8:1132–1149.) that the origin of Ashkenazic Jews can be located in ancient Iran. Yiddish is a Germanic, not a Slavic language. The history of the use of the term Ashkenaz from the Middle Ages onward is well documented. Ashkenazic Jewry is named for the Hebrew and Yiddish designation for Germany, originally a Biblical term. The new GPS Origins test is therefore based on an unproven methodology, which can't be replicated and which does not produce the village-level or even country-level accuracy that has been claimed. It is merely giving you geographical co-ordinates which represent an average of your closest matches in a reference database of modern populations. The whole concept of the test is fatally flawed because it is simply not possible to use the DNA of living people to identify at an individual level where your DNA originated 1000 or more years ago. Similarly we cannot trace the individual migration journeys of our ancestors from modern DNA. Ancient DNA is providing interesting new insights about past populations but these inferences apply to everyone's ancestors and are not unique to an individual. The new test does seem to have some "improvements" compared to the old Prosapia test. Rather than providing one co-ordinate to represent the origins of your ancestors it would appear that the new test will provide a place of origin for both parents. Presumably this opens up the possibility of customers having origins in two rivers or oceans instead of just one! If anyone does get results from this test I would be interested to hear from you and to see a sample report. It should be noted that Eran Elhaik has been at the centre of a number of controversies in recent years. In 2013 Elhaik published a paper in Genome Biology and Evolution on The missing link of Jewish European ancestry: contrasting the Rhineland and the Khazarian hypotheses. His findings were refuted by a leading team of Jewish researchers in a paper entitled No evidence from genome-wide data of a Khazar origin for the Ashkenazi Jews (Behar et al, Human Biology, 2013). Mendez et al published a robust rebuttal Reply to 'The extremely ancient' chromosome that isn't' by Elhaik et al (European Journal of Human Genetics, 2013) pointing out that the authors' criticisms resulted from "a misunderstanding of population genetic theory, as well as a misrepresentation of the methodology of Mendez et al". They also discussed the "technical and conceptual flaws" that undermined the claims. There is an ongoing thread on the Anthrogenica forum about the GPS Origins test. Some people have shared screenshots of their test results. I have now tested with GPS Origins. See my blog post: A review of the GPS Origins test: four ethniticites and four reports. I had the opportunity compare tests done on the GPS Origins chip compared with transfers from AncestryDNA and 23andMe. 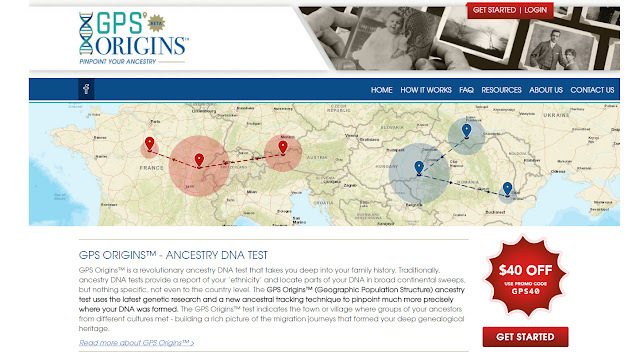 See my blog post The GPS origins test - the DREAM chip compared with AncestryDNA and 23andMe transfers. Thank you, Debbie, for continuing to point up instances of chicanery and charlatansm in the field. Caveat emptor, indeed! I'm laughing about the aquatic origins. Thank you for the detailed info & "heads-up," Debbie. You're using David "KKK" Duke as evidence as to why Elhaik's research can't be trusted? Is this a joke? If you want to make an arguments against Elhaik's research, fine. But if you think David Duke's arguments, which include "Elhaik is a Jewish last name" has any merit in the scientific field, then you should seek help. I only included David Duke's post because it cited lots of the studies that have refuted Elhaik's hypothesis. I'd never heard of Duke before. However, the papers that I've cited in this blog post and the papers that Duke lists speak for themselves.